Matthew Perry is a highly renowned Canadian actor, famous for an amalgamation of roles and performances, most notably of Chandler Bing on the popular NBC television sitcom Friends for which he received an Emmy nomination as well. He has also starred in a slew of television series and movies and is currently starring in the 2015 CBS sitcom, The Odd Couple. Perry was born on August 19, 1969 to Suzanne Marie and John Bennett Perry in Williamstown, Massachusetts. However, his parents divorced before he was even a year old and his mother then married Keith Morrison. Perry was raised in Ottawa enrolling in Rockcliffe Park Public School where he received his early education and then proceeded to earn his degree from Ashbury College. As a teenager, Perry showed great passion for tennis and proceeded to become a top ranked junior player in the country. The 1980s saw Perry move from Ottawa to Los Angeles, where he enrolled in The Buckley School. He proceeded onto forming what was known as a high school acting career, appearing in productions like Our Town and The Miracle Worker. His big professional break came at the age of 18, when he was recruited to cast in A Night in the Life of Jimmy Reardon (1988) alongside River Phoenix. He was then offered a role in the 1987-88 television series Second Chance, a role that brought him recognition on the local acting circuit. The show later became known as Boys Will Be Boys and Perry was promoted to the lead role on the show. He was cast as a regular in the sitcoms Sydney (1990), as well as Home Free (1993). 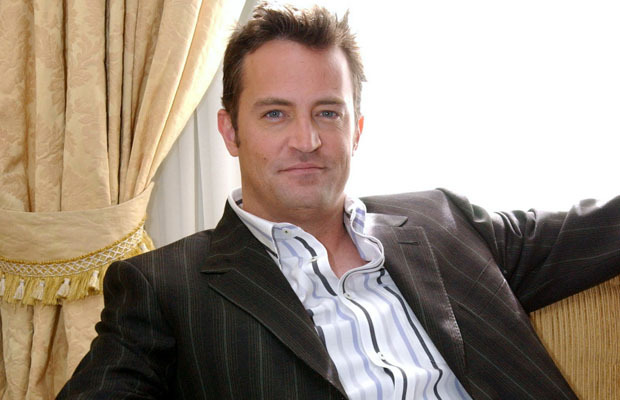 However, his biggest break came when he signed to play the role of Chandler Bing on the NBC sitcom, Friends (1994-2004). The show made Perry and his costars international stars overnight and received universal praise and recognition from various critics and publications, resulting him in earning numerous Emmy nominations. During this time, he also appeared in movies like Fools Rush In (1997), Almost Heroes (1998), Three to Tango (1999), The Whole Nine Yards (2000), it’s sequel The Whole Ten Yards (2004), and Serving Sara (2002). He also makes guest appearances in a number of high profile shows like The West Wing and Ally McBeal. Perry received two Emmy nominations for Outstanding Guest Actor in a Drama Series for his guest appearances in the former of the two shows. Perry also made his directorial debut in the fourth season of Scrubs. In 2006, he starred in the movie The Ron Clarke Story and the television drama Studio 60 on the Sunset Strip. He continued working on a stretch of productions like Numb (2008), a staging of the David Mamet play Sexual Perversity in Chicago, Birds of America (2008), 17 Again (2009). Perry has also pitched a number of idea for various sitcoms over the years. One of his pitches, a comedy pilot by the name of Mr. Sunshine, was picked up by ABC and planned to be made into a series. Unfortunately, ABC decided to cancel the show after just nine episodes. He then proceeded to work on more television serials, like Go On (2012) and guest starred on The Good Wife (2012). He is currently designated to starring, co-writing, and executive-producing the new 2015 CBS sitcom, The Odd Couple. The show will see work alongside actors like Thomas Lennon and Sarah Baker. Matthew Perry holds dual citizenship of Canada and America and is known to have dated American actress Lizzy Caplan from 2006 to 2012. He is also infamous for his drug (namely Vicodin) and alcohol addiction, for which he has had to enter rehab on more than three separate occasions. He currently lives in Los Angeles.